The new 2015 15-inch Retina MacBook Pro with Force Touch trackpad and iMac with Retina 5K Display have just been launched and is available on the Apple Online Store following a report that the two machines could be released by Apple this Wednesday. Details on the new machines can be found here. Building on the mammoth of a machine that the original Retina 5K iMac was, the new desktop from Cupertino has taken most fans by surprise as Apple throws in a slightly cheaper variant of the iMac with Retina 5K display. The CPU clock speed has been curtailed on this specific model, but not by much. 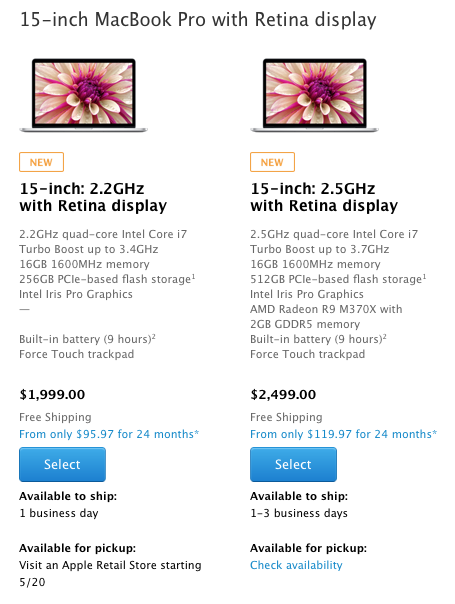 Meanwhile, the price of the higher-end iMac with Retina 5K display has also been lowered. After introducing the Force Touch trackpad on the 13-inch MacBook Pro and the 12-inch Retina MacBook, this brilliant piece of tech has finally landed on the larger 15-inch Pro models, with “built-in force sensors and a Taptic Engine that delivers haptic feedback”. This refresh to the lineup brings faster performance and a longer battery life as well, courtesy of the introduction of the 5th-gen Intel Core CPUs. There are two different models available, with the base configuration coming in with an Intel Iris Pro graphics chip. 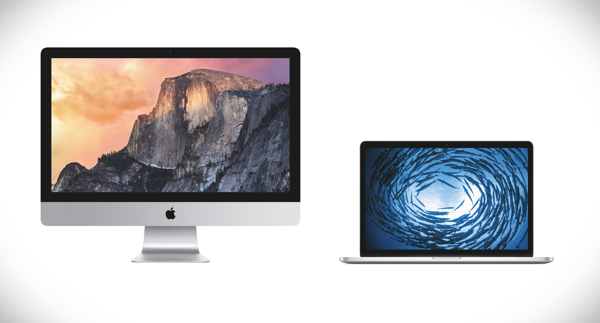 The new iMac with Retina 5K display and the 15-inch MacBook Pro are currently available for purchase on the Apple Online Store. The base model iMac with Retina 5K display is priced at $1,999 while the older yet higher-end iMac’s price has been reduced to $2,299. Both machines are available for shipment in under 1 business day. The 15-inch MacBook Pro’s entry model is available for $1,999, while the higher-end machine comes in with a price tag of $2,499. Where the high-end model is available for shipping in 1-3 business days, the lower end has been slated for a shipment time of just 1 business day. who is still “clicking” their touchpad… Tap to click and three finger drag is the usability feature Crook the fagget should have improved upon.